Right: Ike & Tina Turner pose for a portrait with their son and step-sons in circa 1972. 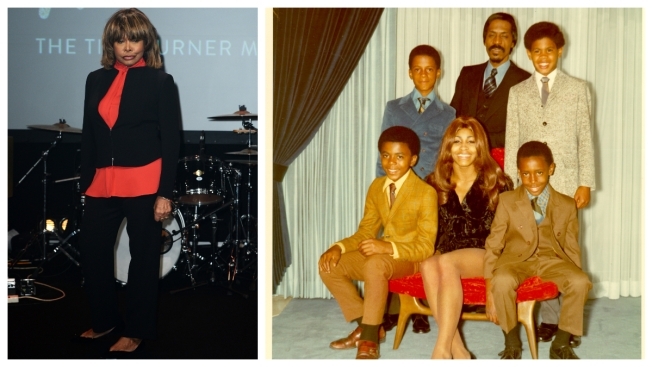 Clockwise from bottom left: Michael Turner (Son of Ike & Lorraine Taylor), Ike Turner, Jr. (Son of Ike & Lorraine Taylor), Ike Turner, Craig Hill (Son of Tina & Raymond Hill), Ronnie Turner (Son of Ike & Tina). Rock and Roll icon Tina Turner shared a somber moment on social media when she posted a photo of her spreading the ashes of her oldest son Craig Turner, who died following a suicide earlier this month. “My saddest moment as a mother,” Turner wrote, who held a rose in her hand as the photo was taken. Turner's eldest son reportedly died from a self-inflicted gunshot would on July 3.